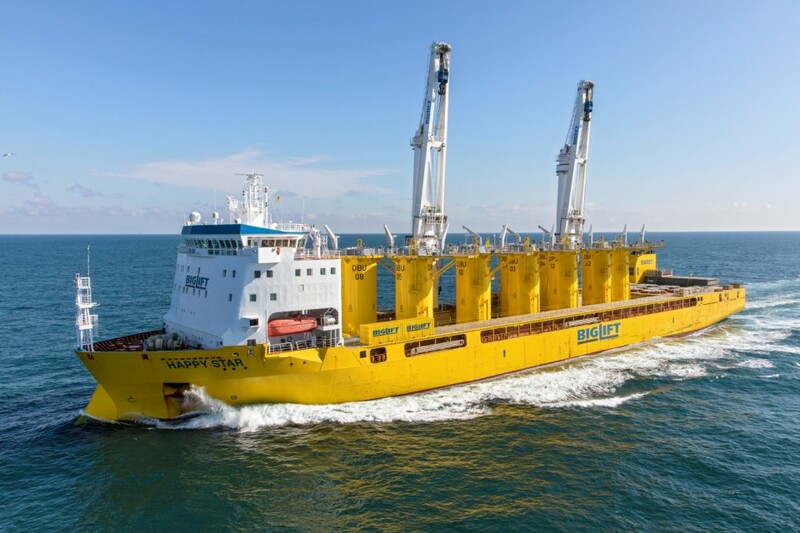 In July and August 2018 mv Happy Star transported 31 transition pieces for client Van Oord. 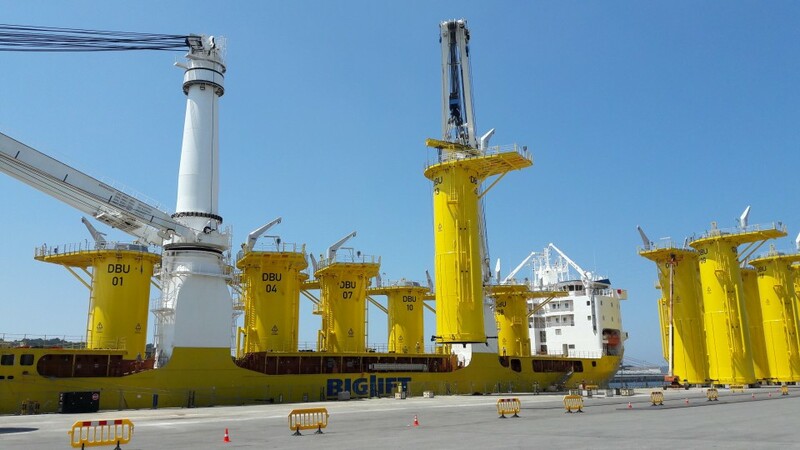 The cargo, for Deutsche Bucht (DeBu) offshore wind farm, was loaded in Avilés, Spain, were it had been built, for the port of Cuxhaven in Germany. The transition pieces weigh over 300 mt each and stand 29 meters high. Their outside diameter is approximately 6.8 metres. Every TP was shipped in fully equipped state with anodes, platforms, ladders, maintenance crane and internal equipment already installed. Happy Star made three trips from Avilés to Cuxhaven to transfer the 31 transition pieces to Cuxhaven port. 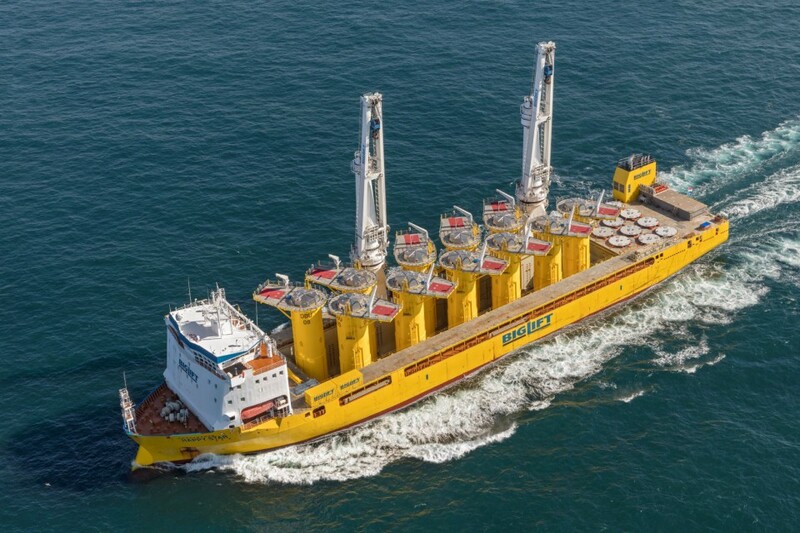 There they will be picked up by Van Oord’s installation vessel to be installed at the offshore site, 95 kilometres northwest of the German island of Borkum. 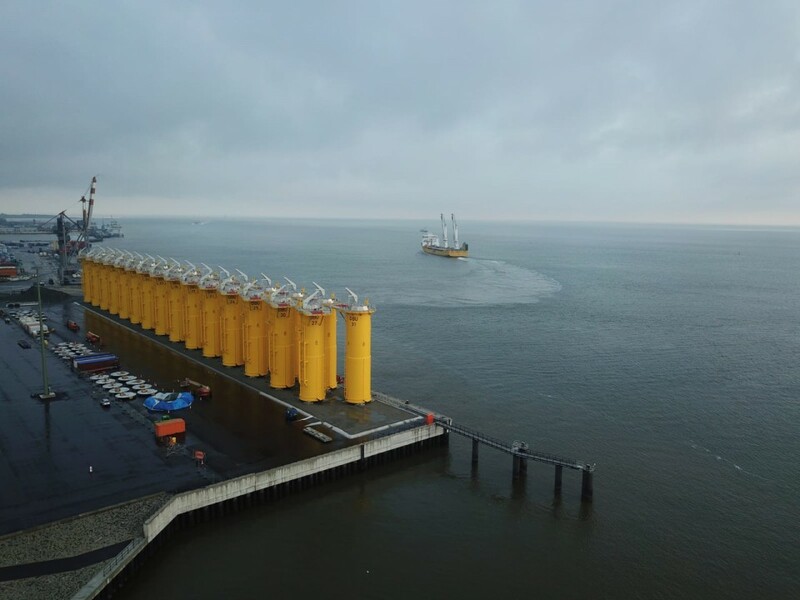 The first 11 transition pieces arrived in Cuxhaven mid-July. The third and last voyage finished with the unloading of the 31st transition piece in Cuxhaven mid-August.